If anyone decides to use this manifold it is set up for a 4bbl carburetor. Only the smallest 400 cfm Holley carb would work in a normally aspirated application but it would be a step backwards from the self correcting, self adjusting features of EFI. 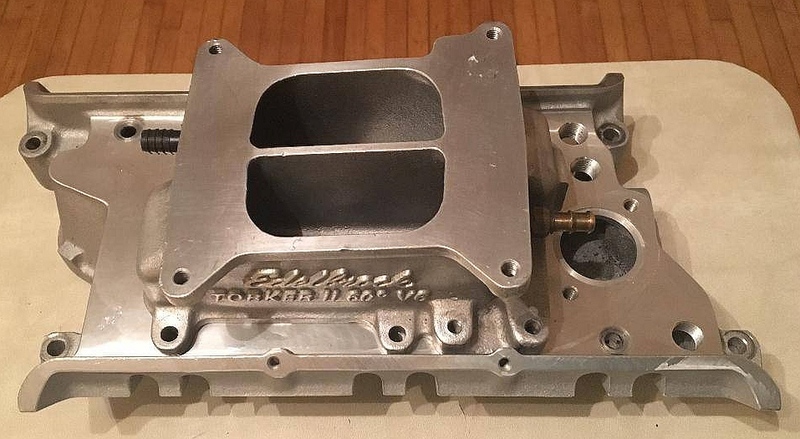 You'd probably spend $1000 to set up the 2.8L with a new carb, fuel pump, distributor and this manifold, to end up with less drive-ability, lower gas mileage, increased emissions and shorter engine life. If you have an auto you will lose the TCC lockup feature too. It's an interesting piece... mostly of historical value. Could use it with TBI instead of a carb. That would maintain most of the benefits of EFI while keeping the airflow capability of the manifold. The runner entries appear to have sharp corners, so I'm sketchy about how good it actually is for making power. There is one of these also for sale on Craigslist in the Boise, Id area for $50, supposedly new. This might produce a benefit, but these TBI aftermarket systems are very expensive. That brings up the question of whether the cost would justify the gain. That brings up the question of whether the cost would justify the gain. I figure we should have at least one picture posted of the manifold in question. Could use it with TBI instead of a carb. That would maintain most of the benefits of EFI while keeping the airflow capability of the manifold. At one point, I had considered doing that. The plan was to use it with a TBI unit from a 4.3 V6. But when I ran the numbers, it was cheaper to buy a Trueleo intake. So I went that route instead. Also note that the carb mounting pad is tilted for longitudinal installation. This wouldn't work so well with a carb in a Fiero. Here is an oldie on the subject. They can be made to work pretty well on the 3.4. Other threads by Arns85GT give info on mods to the 390 Holley for a 2.8. I would still go the way of a Dawg type mod to the factory intake and maintain the EFI.